This week we welcome Evan Ginzburg, the Associate Producer of The Wrestler (2008), on IN THE ROOM to talk about his newest film: 350 Days. 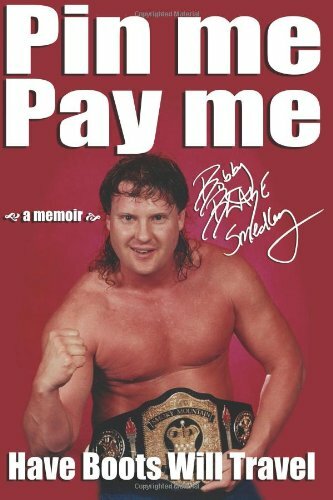 This documentary chronicles the lives and careers of a number of wrestlers – including “Superstar” Billy Graham, Bret “Hitman” Hart, Greg Valentine, Paul Orndorff, and others. The film will have have a limited one-day run in select theaters, including New York, Los Angeles, and Philadelphia. Check out this interview for Evan’s thoughts on the film and the wrestling lifestyle as a whole, what is different about wrestling today as opposed to yesteryear, and everything you wanted to know about this great movie! Plus, PWI’s Brady Hicks, former WCW star The Stro, Kathie Fitz, and Derrick McDonald talk about Ronda Rousey’s feud with Alexa Bliss and path to the title, Big Cass’ departure, and ideas for how to handle the various brands as WWE moves toward its big new television contracts with Fox and USA in 2019. Plus, open phone lines for two full hours and so … much … more! Thanks, as always, for the support!